The second I lay my eyes on it, I am transported to a another world entirely, the glittering done, along with the reflect of water on intricately engraved marble, is a work of art of a diffrent league altogether. Its one of the things Dubai has that Al Ain does not, the Gurudwara located in Jabel Ali. 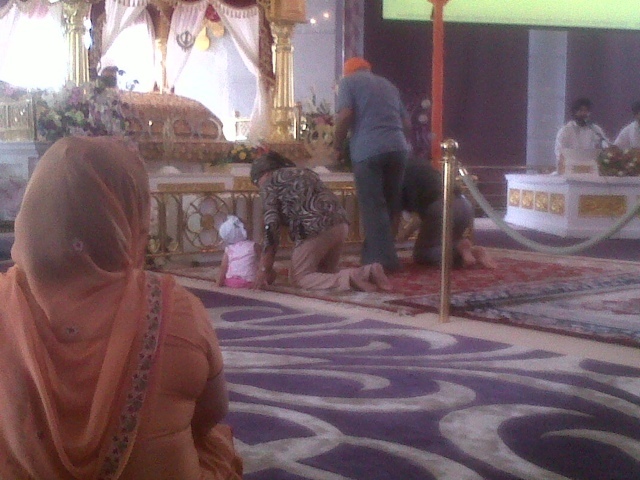 This GuruNanak Darbar was opened to the public in January 2012, and has a been a scared spot for devotees ever since. My mum loves all things religious so early Friday morning (it's Friday so by early I mean 11:45 am) we stepped out of the house and made our to well my cousins house and after that tiny pit stop me headed to the Gurudwara which was as enchanting as the first time I stepped in there. For those of who don't know what a Gurudwara is, it's a religious place belonging to the Sikhs, where the Guru Granth Sahib is kept in a oranate pedestal, fashioned like a mini temple within the main prayer room, the gold atop this temple is mostly gold, sometime in colour and sometime is actually made of real gold. Personally it's one place I can find some peace, even in the busiest of cities. This Gurudwara is open everyday and serves the 'Guru ka Langar' in the 'Langar Hall' three times a day irrespective of caste and creed. Men, women, kids everyone is allowed in here, just keep in mind that your head has to be covered in the Gurudwara premises. If you don't have a dupatta, a scarf or a big kerchief on you don't worry there is always a basket full of bandana sized head covers at the entrance. 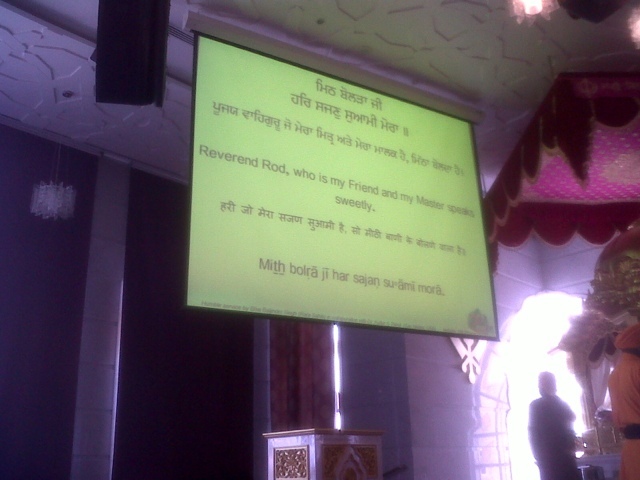 A useful thing in this Gurudwara are two projector screen, which explain and translate the 'Bhakti songs' sung over there. Which helps the non Sikhs understand the the teachings of the 'Guru Granth Sahib' as well as the devotional songs, both of which are in Gurmukhi (language). The Gurudwara is more than just a place for religion, it's a place for mediation, culture and community service. The langar (especially on Fridays) is served by a number of volunteers, you rejoice in giving their time to able to serve thousands of devotes throughout the day. The langar is generally had while sitting on the floor, but here they also have dining tables and chairs put up in one corner for elderly people. 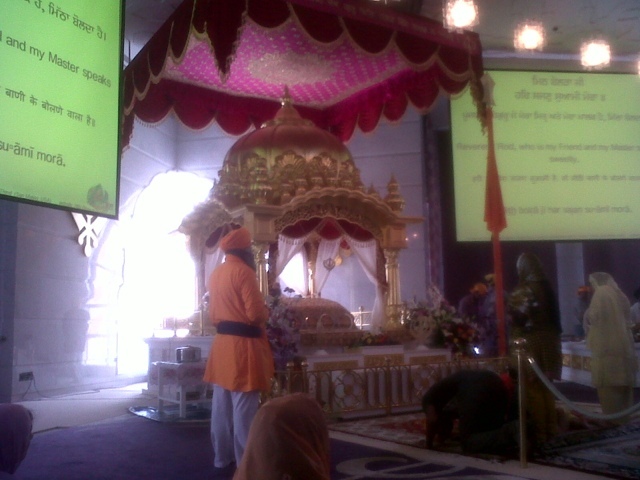 If you haven't already visited this Gurudwara yet, I really suggest you do! As I said earlier, everyone is welcomed here and treated equally. 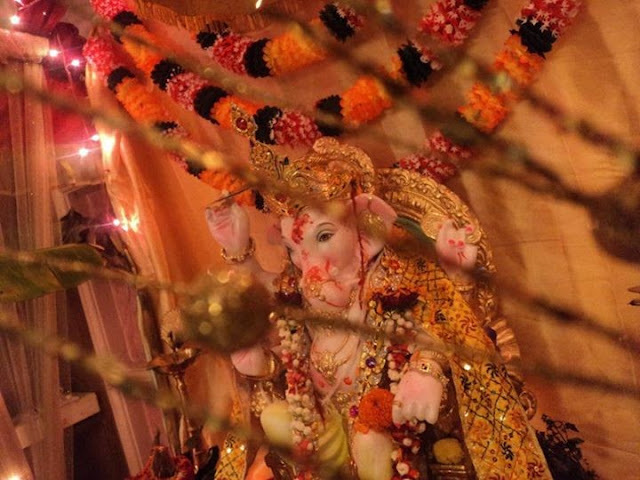 So head to Jabel Ali for a little religious and cultural taste of India in Dubai. Moral of this story: peace and quit can be found in any place, you just need to find yours, and kids are really cute sometimes, just not when they whine and cry!